On Thursday, Ford pulled the wrapper off its redesigned 2015 Mustang. The original made its debut in 1964 to a very different world. Back then, you bought a boring sedan, a station wagon or a big coupe with a full-size back seat. Sports cars were cramped two-seaters from Europe, expensive and unreliable and often slow to boot. The Mustang changed all that. Outwardly it was athletic and sleek, as small and as light as today’s Honda Civic. But underneath it was a humble Ford, stickering at $2,368, with a six-cylinder engine generating a modest 101 horsepower with options that turned it into a relative rocket ship. Ford sold more than a half-million Mustangs in the car’s first model year – a number than would handily dwarf the number of new Camrys that Toyota managed to move in 2012. 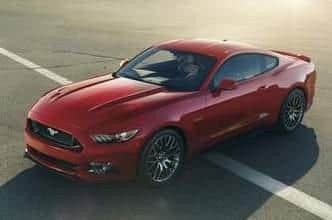 Though the Mustang no longer captures the American imagination the way it did 50 years ago – there are dozens of new brands to consider now, plus two storied competitors in the Chevrolet Camaro and Dodge Challenger – we feel compelled to point out that the current model is among the bargains of the automotive world, insurance-wise, whether you go mild or wild. The new Mustang is likely to maintain that tradition. Insurers set rates based largely on prior claims histories for that model, and the Mustang benefits from having a long history of fewer claims. Lots of factors go into insurance rates, but one that’s often overlooked is the demographics of your fellow buyers. Toyota says the average Scion buyer is 32. Claims against all types of insurance coverage for the 2010-2012 Scion tC coupe were “substantially worse than average,” according to Highway Loss Data Institute. Marketing consultant Strategic Vision says the average Mustang buyer is 51 years old. Claims for the Mustang GT were slightly above average for collision and average or below for liability and injury claims. Nostalgic baby boomers tend to have fewer accidents than teenagers wearing flat-brim caps do, yo. In the end, that mild demographic makes the Mustang cheaper to insure than it should be, given its 305-horsepower standard engine. At the other end of the scale is Shelby GT 500, by far the cheapest way into the exclusive 600-horsepower club. You’d pay $1,962 a year to insure the 662-horsepower Shelby convertible, slightly less than the cost to insure the 332-horsepower Nissan 370Z Nismo convertible. Demographics only go so far, though. The wrong ZIP code, a bad driving record or even poor credit can make any car more expensive to insure. And down the road, if the 2015 Mustang proves more expensive to repair or begins to attract a younger, more accident-prone buyer, you can expect higher rates. Methodology: Averages are based on a 40-year-old male driver who commutes 12 miles to work, with policy limits of 100/300/50 ($100,000 for injury liability for one person, $300,000 for all injuries and $50,000 for property damage in an accident) and a $500 deductible on collision and comprehensive insurance. The policy includes uninsured-motorist coverage. Rates were averaged across multiple ZIP codes and insurance companies. Average rates are for comparative purposes only. 0 Responses to "Boomer buyers make Mustang cheap to insure"